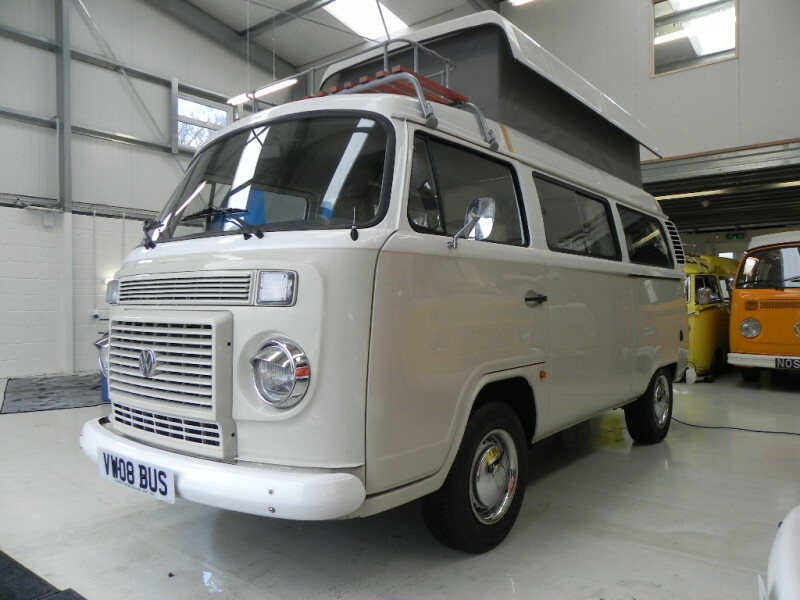 We have just taken this lovely and very well spec VW Danbury into stock, boasting power steering, low miles, 4 berth with pop roof..! 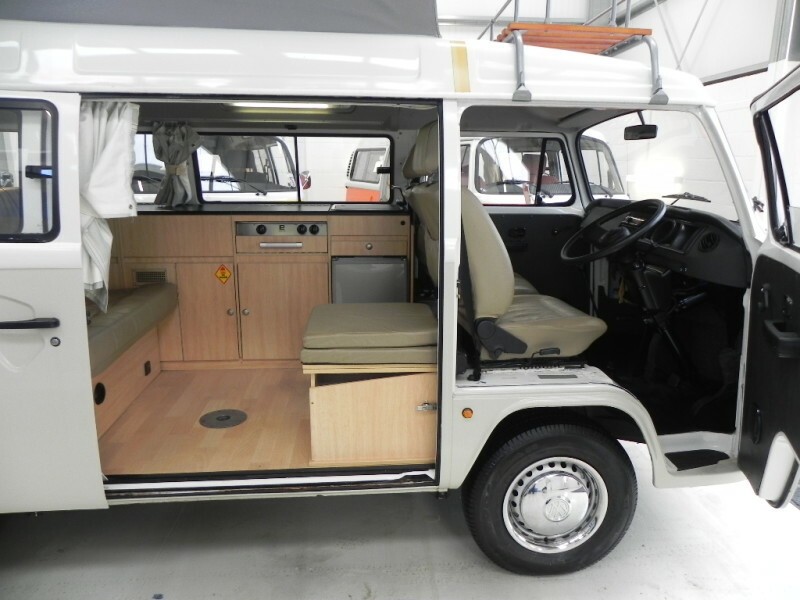 Exterior: Beige and white paint work, chrome mirrors , hub caps, headlight rims, front roof rack, pop top roof with sunroof, upper bed board ,mattress and bike rack. 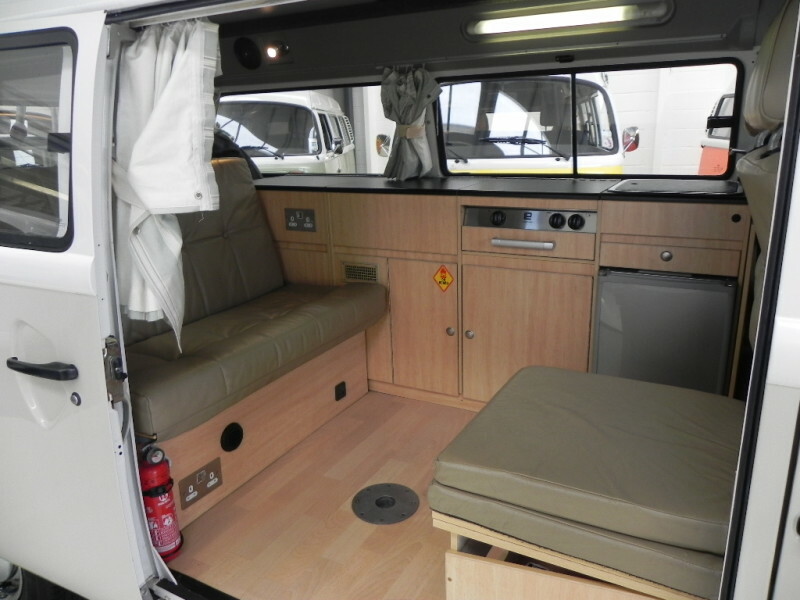 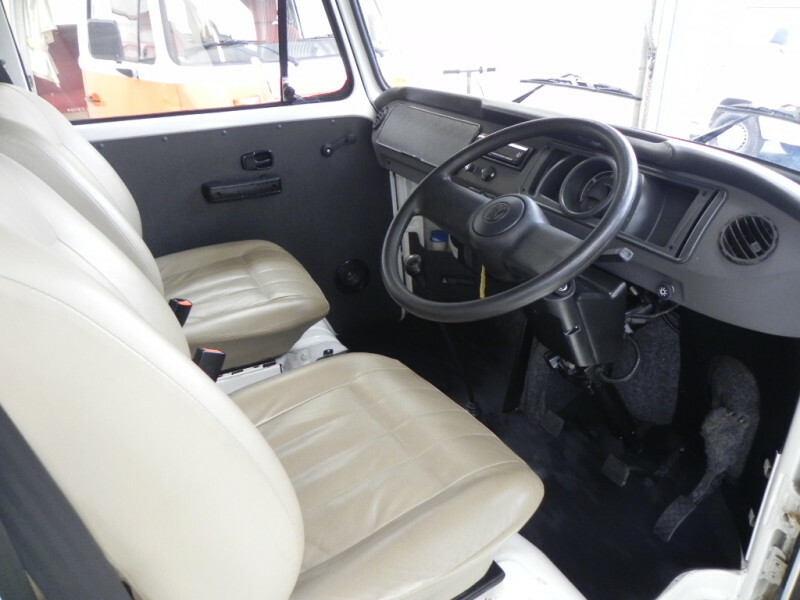 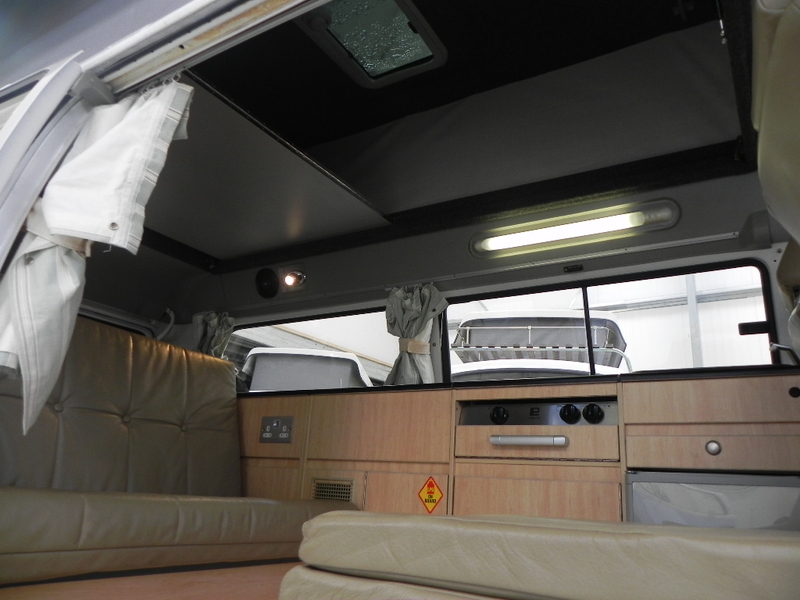 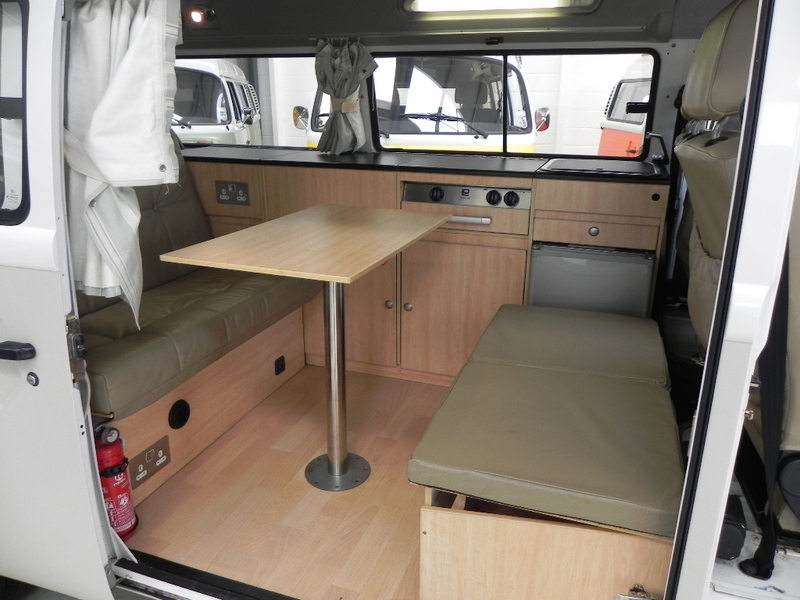 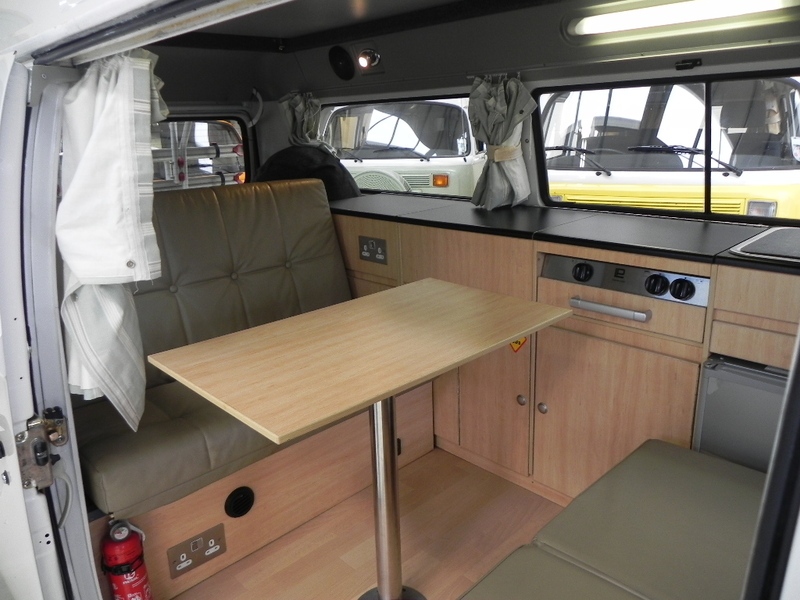 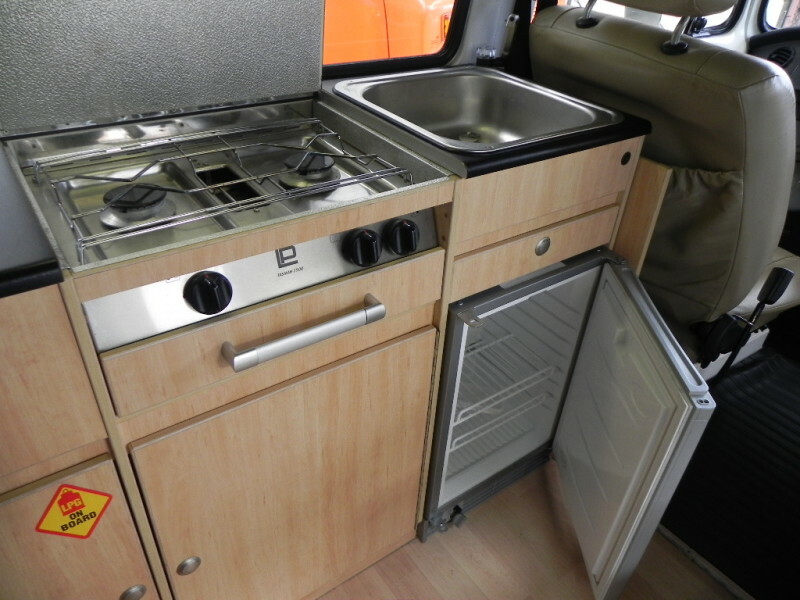 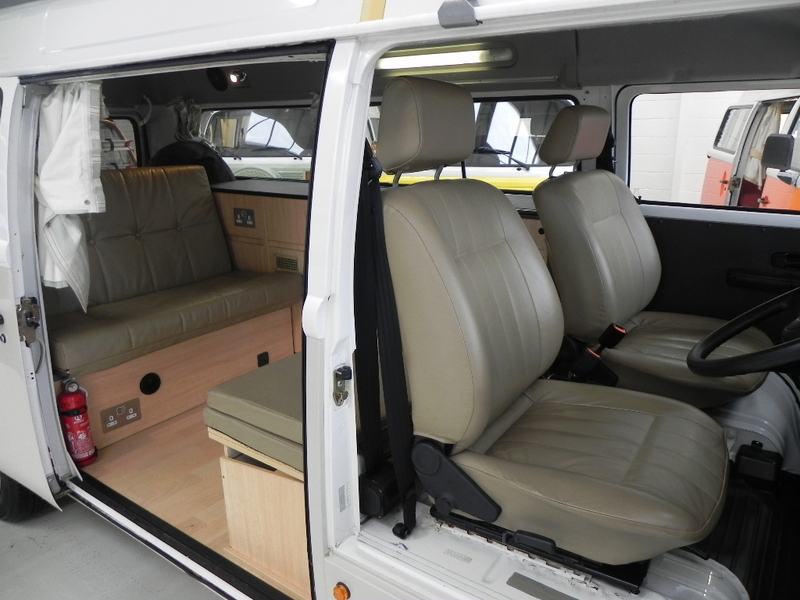 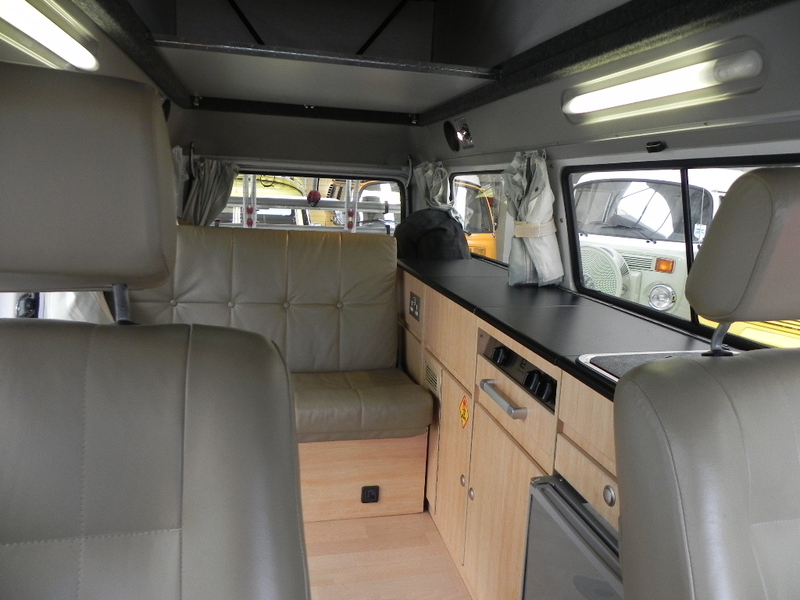 Interior: leather upholstery, buddy seat with side section, front heating system, rear aftermarket night heat, iPod headhunt, full length units so plenty of storage, 3 point seat belt, cooker and grill, fridge, sink with pumped water, 240v hook up and leisure battery with charge system. 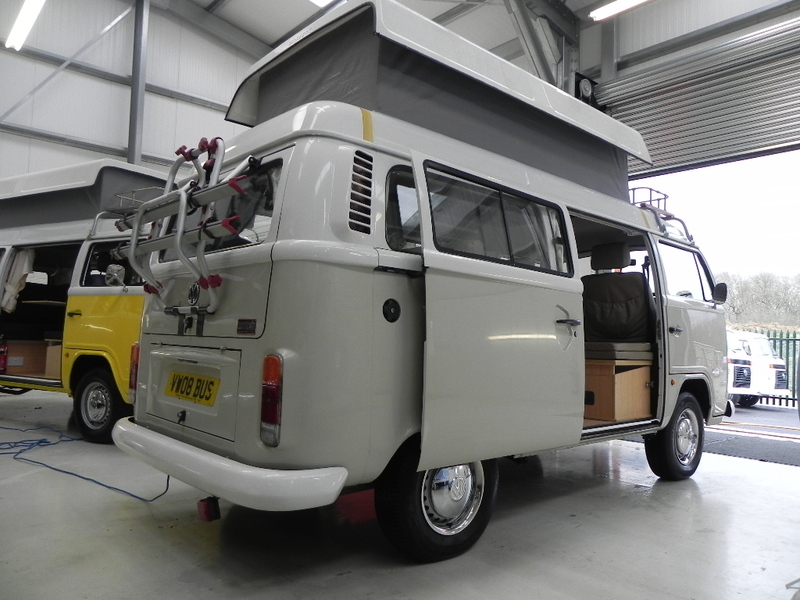 Mechanics: 1400cc water-cooled engine so very reliable, only 23500 miles from new, under-seal wax oil, service history and 2 keys. 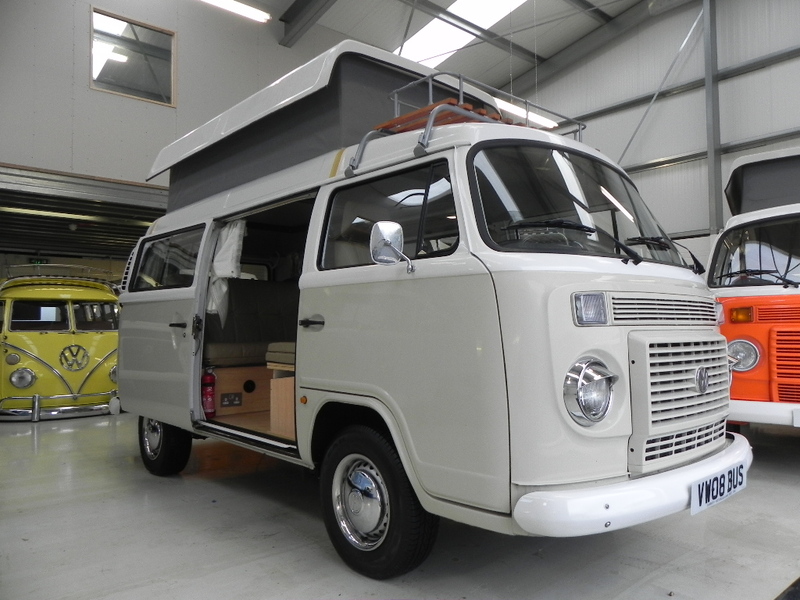 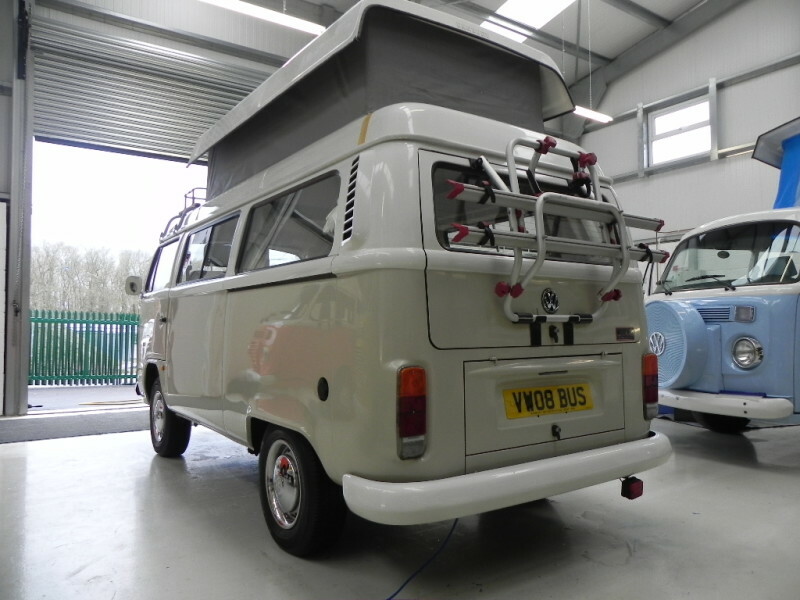 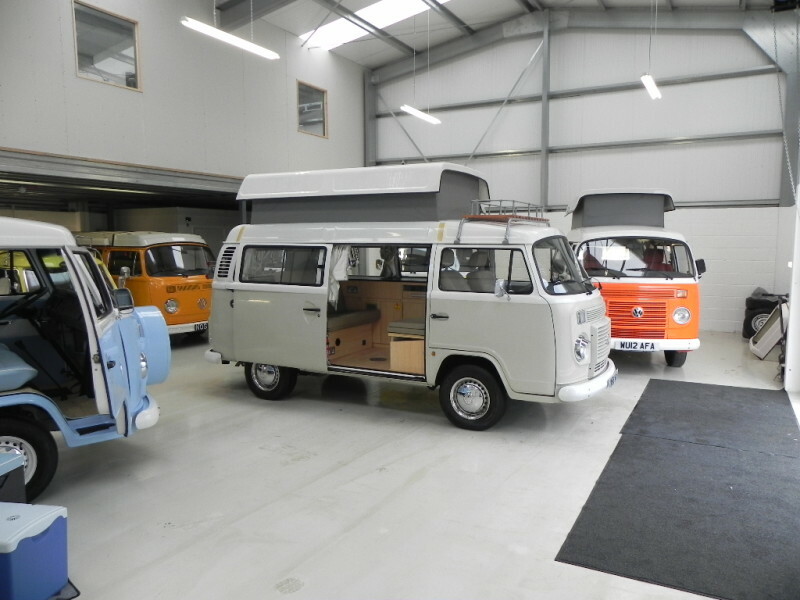 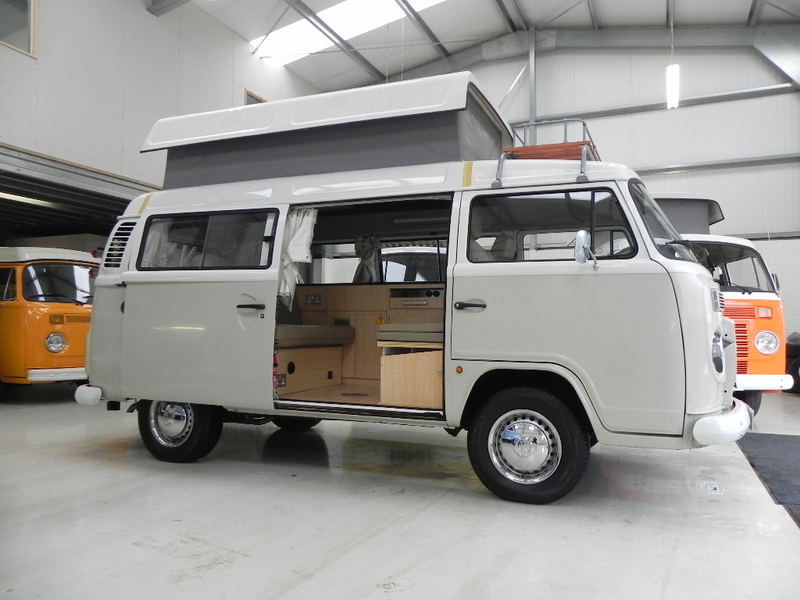 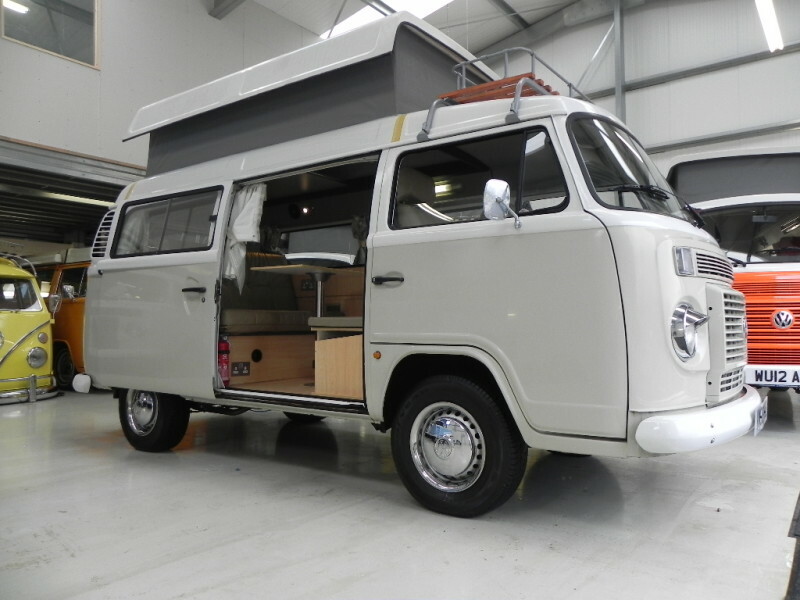 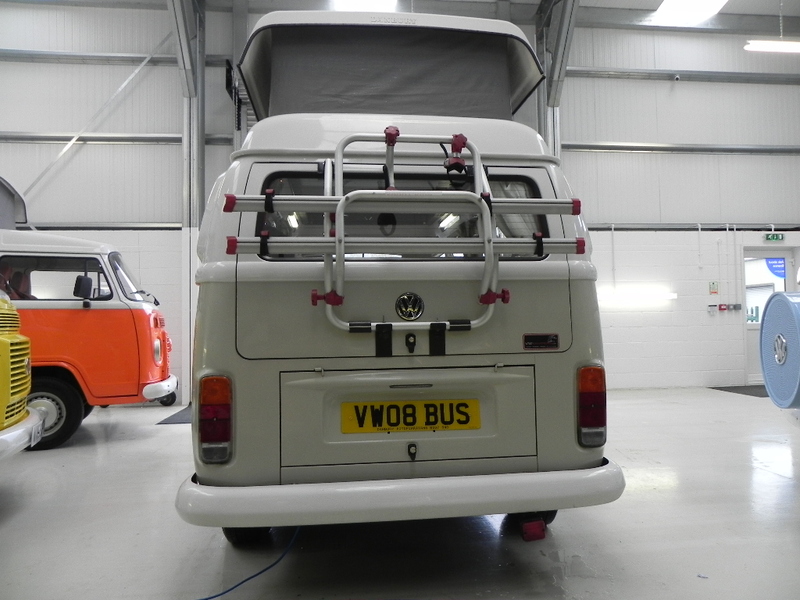 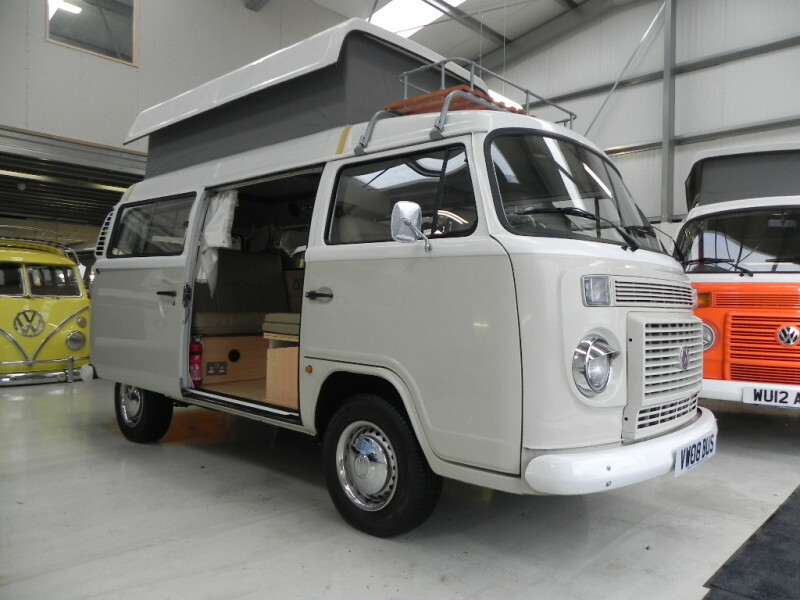 In brief, a very pretty water-cooled vw camper, 4 berth, high spec, power steering and low mile’s, sold with 12 months MOT, full major service, full PDi inspection, valet with leather treat and polish to the paint work, 3 months parts and labour warranty. 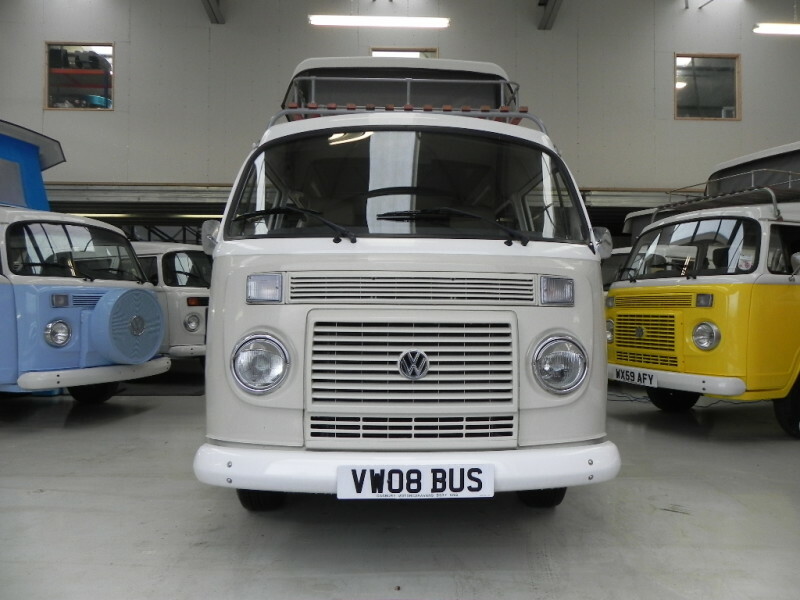 Please note the number plate VW08 BUS IS INCLUDED WITHIN THE SALE!